San Jose residents ranks as America’s best for living within their means, thanks to having the country’s lowest debt not related to housing and smallest revolving credit usage. San Francisco places No. 2 for budget consciousness, with annual incomes that are more than $30,000 higher than the national median. Homeowners in all six of the California cities included in the analysis have mortgage-debt-to-income balances higher than 100 percent. A few months ago, a survey from CareerBuilder found that nearly 80 percent of Americans are living paycheck to paycheck to meet their expenses. To find out where consumers are the best (and worst) at living within their financial means, LendingTree examined August 2018 credit data from its user base and compared it with household-income numbers, ranking 50 U.S. cities on a 100-point scale. San Jose tops the list of places where residents have the best control of their finances, notching a total score of 73.6. The city has the lowest amount of non-housing debt in the country, at 23.5 percent of income, as well as the lowest revolving credit usage of 27.3 percent. Additionally, San Jose millennials owe an average of $18,000 in debt not related to housing — $5,000 less than young people nationwide — and have the country’s lowest student-loan balances. San Francisco ranks No. 2 for budget-conscious residents, scoring a 70.6. The City by the Bay had the country’s second lowest nonhousing debt and credit-usage numbers behind San Jose, a respective 27.7 percent and 27.4 percent. Of course, when judged by mortgage debt as a percentage of income, Bay Area residents do not fare as well. San Franciscans’ mortgage balances equal 123.9 percent of their earnings, while San Jose homeowners have a housing debt-to-income ratio of 107.0 percent. In fact, homeowners in all California cities included in the list have mortgage balances that are more than 100 percent of their yearly earning: Los Angeles (121.0 percent), Sacramento (126.5 percent), and San Diego and Riverside (both 131.1 percent). So why are residents of America’s most-expensive places to call home so good at managing their finances? High incomes are partially responsible; as LendingTree points out, the median annual income in San Francisco is about $88,000, compared with the national median income of $55,300. The fact that Bay Area residents tend to have higher education levels helps them earn such large incomes in a region with plentiful, high-paying technology jobs. 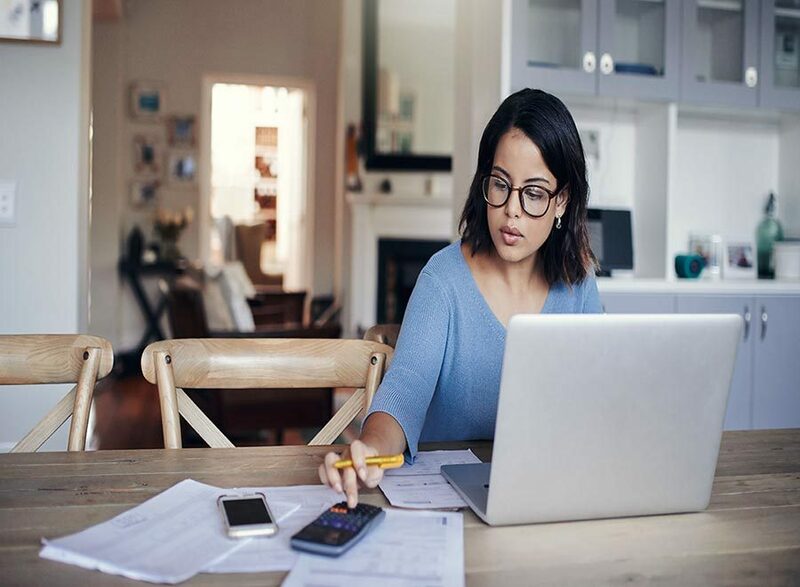 LendingTree offers some common-sense tips for prospective homebuyers who are fretting about their spending and budgeting habits, starting with consolidating debt and regular credit-score monitoring. And besides creating a monthly budget and paying bills on time, consider refinancing student, automobile, or mortgage loans to get a more favorable rate. Previous PostPrevious How Long Will a Home Purchase Impact Californians’ Credit Scores?